Wet Basement Got You Down? BEST Plumbing and Drainage Contractors can help. BEST provides cost-effective solutions for all your sewer, drainage, plumbing or wet basement problems. You can trust the integrity of your home, office or commercial establishment to our trained and experienced wet basement repair and water proofing specialists. We provide our services 24 hours a day, 365 days a year to clients in London and throughout Southwestern Ontario. We work closely with all of our clients to ensure complete satisfaction. 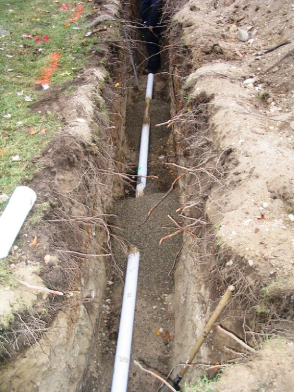 At BEST Plumbing and Drainage Contractors, we are not satisfied until you are. Nothing causes more stress for homeowners than a flooded basement. And for plugged drains – whether it’s a main sewer or a kitchen sink – the BEST solution is our Eeling Service. Nothing cuts through and clears blockages like eeling. But for extra tough blockages like grease build-up, we recommend video inspection and flushing with our high pressure flushers. The bottom line is, we will find the most cost effective solution for your problem. Please mention this promotion when you call us.